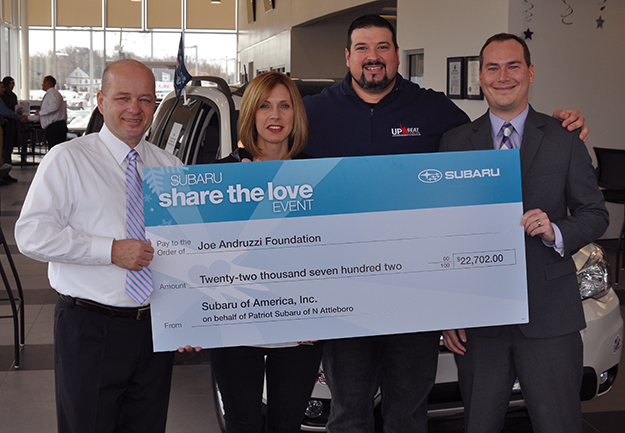 Patriot Subaru Shares the Love with JAF! Jen and I were honored to visit our friends and supporters at Patriot Subaru in North Attleboro again for the “Share the Love” event check presentation. Between November 20, 2014 and Jan 2, 2015, Subaru of America pledged to donate $250 to charity for every new Subaru sold. Subaru selected four national charities, and then had local dealers select a local charity of their choice. It was left up to customers to decide which charity would receive the $250. It is truly an amazing campaign, and over the past seven years the program has topped $50 million dollars in charitable contributions. Now that’s what we call sharing the love! We were thrilled to be selected by Patriot Subaru of North Attleboro as their local charity of choice and even more excited when it was announced that the program had earned $22,702 for our Foundation. 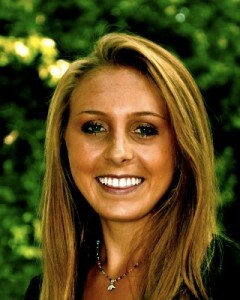 This is going to go a long way towards helping cancer patients worry less about money and more about getting better. Patriot Subaru in North Attleboro opened in July 2014, and has already been very active in a variety of community programs, charity events, and volunteer efforts. (Check out their next pet adoption day!) Patriot has another store in Saco, ME, which opened back in 2003. Pictured above with “the big check” is Don McEwen/Patriot Subaru GM, yours truly Jen and Joe, and Ken Scanzio/Subaru of New England District Manager. We’ve been to the store several times. Back in November we enjoyed shooting a TV commercial with Don that helped to promote the Share The Love Event (see below). In December, we visited the store (before all the snow!) for a pancake breakfast, which was a blast. We met all the store associates and many customers, and saw old friends. Joe’s three Super Bowl rings were worn by at least half the staff, which made for some great photos. Joe also signed a ball that was given away via Facebook. We’re grateful for the continued support of the local community, including our friends at Patriot Subaru. It’s thanks to you that we spend each and every day getting closer to tackling the cancer epidemic – once and for all!